Most of Claire's fiction has fantasy or science fiction elements – and a lot of it falls into the Middle Grade or Young Adult range. She is currently working on several longer projects, but here are a few of her published short stories. 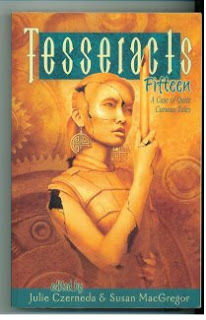 “Ice Pirates” in Tesseracts Fifteen: A Case of Quite Curious Tales, edited by Julie E. Czerneda and Susan McGregor, Edge Science Fiction and Fantasy Publishing, 2011. “The Lost Land” in Polaris: A Celebration of Polar Science, edited by Julie E. Czerneda, Star Ink Books, 2007. “Time Change” in Issue 27 of Vestal Review (October 2006). “Dopted” was featured in the 2007 Holiday Edition of Written Word magazine.